Barcelona have been linked with an interest in Ajax defender Nicolas Tagliafico, but any potential move to the Nou Camp could be scuppered for one key reason. The Catalan giants remain on course for a successful season this year, with the La Liga title, Champions League and Copa del Rey treble still in play. 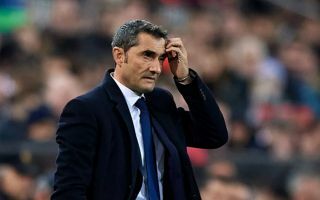 With that in mind, it wouldn’t appear as though too many changes are necessary to the squad this summer, but coach Ernesto Valverde will surely welcome any reinforcements to help add quality depth where necessary. One position where he is arguably light is at left-back, although as noted by Goal.com, Jordi Alba did sign a long-term contract extension this month and so perhaps cover for the Spaniard is all that is needed. However, that could be the reason as to why any swoop for Tagliafico won’t be successful, as Mundo Deportivo note that the Argentine defender has been linked with a move to join the Catalan giants, but any such move could be complicated as it’s specifically noted he wants to remain a regular starter. Given Alba’s ongoing presence in the line-up, that would seemingly be difficult to secure at Barcelona, and in turn, other interested parties such as Atletico Madrid who are specifically mentioned in the report could have a better chance of prising him away from the Dutch giants. The 26-year-old has made 31 appearances for Ajax so far this season, playing a key role in their impressive Champions League run as well as their hunt for the Eredivisie title. Further, he has 12 caps for Argentina to his name, and appears to have the quality needed to establish himself as a key figure for club and country moving forward. Nevertheless, with Alba now set to continue as first choice at left back moving forward, Tagliafico could commendably choose to look elsewhere at other opportunities to continue to play regularly, or perhaps even remain at Ajax.